Apr. 9 (NBD) -- China will take key measures in a new push to improve its cities through boosting the urban population and bolstering the nation's high-quality and stable economic growth, the country's top economic planner said. China's National Development and Reform Commission published its 2019 urbanization plan on Monday, specifically stating cities with a population under three million should lift all restrictions on new domestic migrants, while cities with populations between three and five million should "comprehensively relax permanent residency requirements". Megacities including Beijing and Shanghai should improve the points system for household registration, allowing more people to settle in those cities. 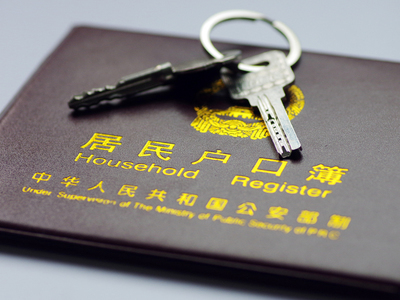 Having hukou, household registration, in a city generally means more social benefits. Hangzhou, the provincial capital city of affluent Zhejiang province, last week announced that it will grant permanent residency to migrants with college education and above, lifting restrictions on migrants' age. Earlier, Shijiazhuang, the capital city of Hebei province, announced "zero threshold" for policy for domestic migrants. Other cities such as Guangzhou and Shenzhen also made relaxations from their prior residency policies. China has long started the process of urbanization and has made steady progress. But some farmers feel reluctant about shifting hukou to a city due to concerns over rural rights and benefits, the 21st Century Business Herald reported. Ye Yumin, professor at Renmin University of China, said to the 21st Century Business Herald that people in city suburbs don't want residency in the city, as they can enjoy public services of the city and benefits of a rural hukou at the same time. "In the survey, we found that less than 30 percent of the respondents want urban hukou as they don't understand what such residency can do. After they are informed about the benefits attached to urban residence certificate, including housing, education and social security, the proportion rises to 70 percent," Ye said. Young migrants who work in large or mega cities have stronger desire to obtain an urban hukou, Ye added. With regard to rural rights and benefits, Han Jun, deputy director of the Central Leading Group Office for Rural Work, stated last month if a farmer decides to go to a city and settle down, his/her wishes regarding whether to give up the contracted land, grassland, woodland and homestead must be fully respected. Ye made the same comments, noting that rural residents' will should be respected so as to free rural-urban population flows.